This classic method of imprinting into the paper creates an indent (deboss) or a raised (emboss) letter or image. Letterpress communicates a handcrafted quality that no other printing method can imitate. It takes a skilled printer to make a neat edge and give you that classy, elegant look. We’ve been using letterpress for decades. We know how to get it right and what the correct papers are to use for a quality finish. Lift your marketing campaign with print products that make your customers engage better and remember you. 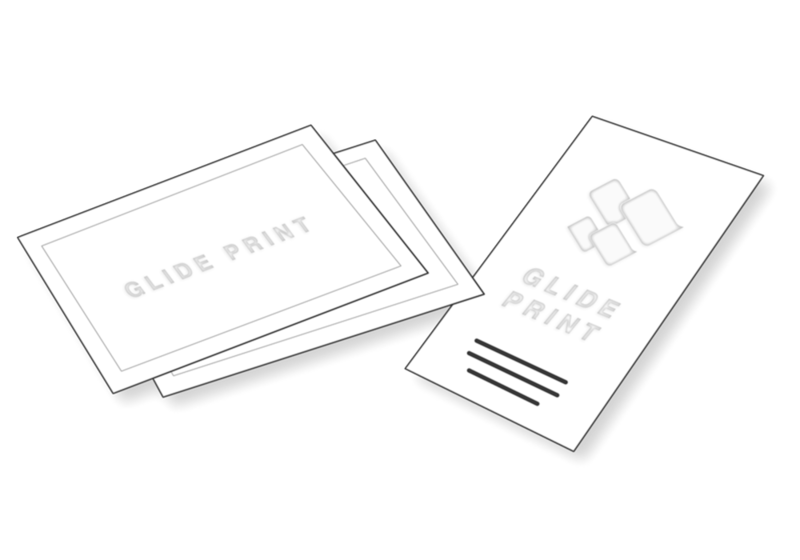 Like all our products, we supply them at Glide Print’s competitive prices. All our knowledge and skill comes at no extra cost to you so you know you're getting the best quality for your budget and the process will be an easy one for you.